Sometimes I get the chance to Step Off the Treadmill close to home. A six-hour drive, and I was in another culture and in one of the most beautiful cities on the planet. 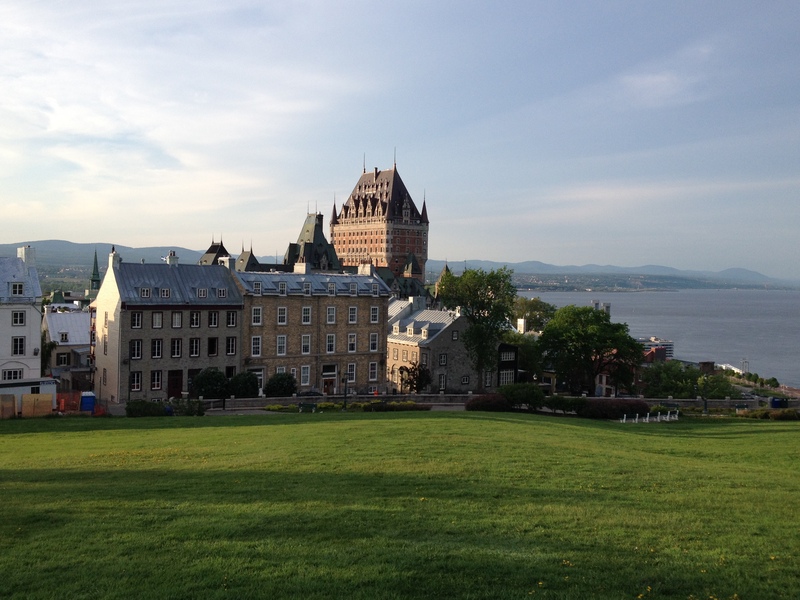 I went to Québec City for a week of French immersion classes. One week is ludicrous of course, but it is what I could spare in terms of time. I thought it would give me an introduction, a sense of whether or not I could, eventually, learn la belle langue. Part of the joy of this adventure was my host. I was billeted with a wonderful and interesting woman with a deep family history in Québec, from whom I learned about the gracious, artistic and intellectually vibrant world of the Ursuline nuns. She’d grown up in the convent and considered it her home. She maintained that I could not understand the history of the city without visiting the convent museum. The Ursuline Convent in Québec City, founded in 1639, is the oldest school for women in North America. Recognized as a UNESCO World Heritage site, the school became renowned for the wide and diverse education that it gave young women. The young pupils lived at the convent, shut off from the outside world, until they were ready to enter society. The nuns were a political force in the town, and their artwork, especially their embroidery, is world renowned. 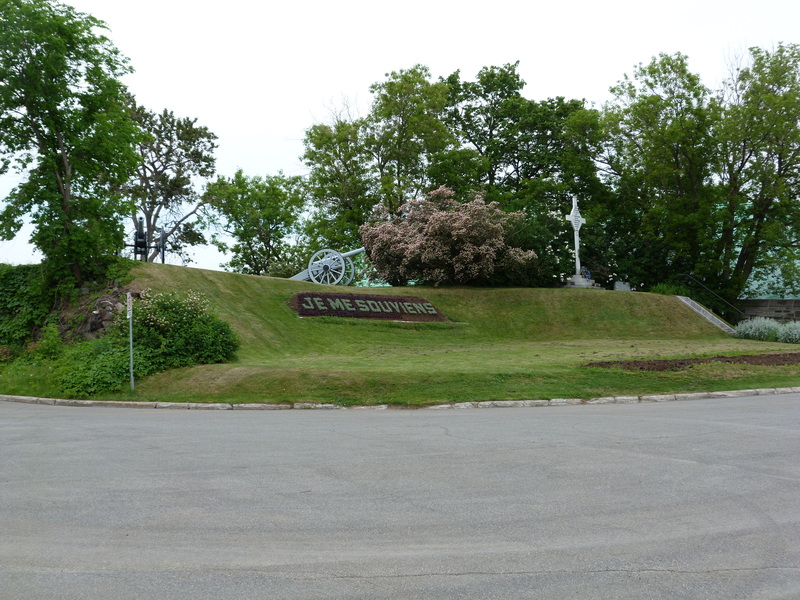 In fact, the school was the first women’s arts centre in New France, and the display at the museum showcases the school’s emphasis on music, painting, drawing, sculpture and embroidery. Although the girls were not being raised to be scholars, they received a comprehensive education in literature, languages, astronomy, biology, physics, mathematics and, of course, religion. If my host is any indication, today’s graduates from the Ursuline Convent School must be amazingly accomplished women. She holds several advanced degrees and has an incisive and enquiring mind. There is a feminist pride in her intellectual upbringing and in her home. Living in her house connected me with a grace and style that reflected the courtly homes of New France. It is a home filled with her family’s possessions, or at least those that she has not already donated to museums. Her family dining table is used in the Langevin Block on Parliament Hill. Some of this information I received in French. But my responses required English. My host was incredibly patient and continually encouraged me to keep up my simplistic patter of French words. But too often I would explode with a torrent of complex words because I desperately wanted to express a thought that wasn’t in the present tense. Many people in Québec asked me why I was trying to learn French. They usually asked me right after I had mangled the simplest of verbs. My only reply is that I have always wanted to. I have been embarrassed by my unilingualism for 35 years. Now in my advancing age, working on a new language has an added bonus of being good for my brain. Even if I never learn it, I’m building new pathways in mon vieux cerveau just by trying. It is a good time to start. There was a student in my class, a man slightly older than I who, after having a stroke, had been given six months to live. “You might possibly make it a bit longer if you tried to learn a new language, and learned to play the violin,” he was told. Over two years later, he bounded at every new word like a lifeline. He became my inspiration for forging ahead. The Edu-Inter School where I was enrolled has a new intake every Monday. I arrived with three other “newbies” into a class in progress. There were students of all ages from Mexico, the Philippines, the U.S., China, Vietnam and Canada, most of whom had been at the school for at least a few weeks. Many were staying for the entire summer. I had no idea what we would be focusing on during my brief stay, but as luck would have it, the week that I landed in was dedicated to the subjunctive – a verb that I am not sure I understand in English. I was confronted with a wealth of grammatical minutiae … the subjunctive is always used for matters of the heart, for opinion, for commands, but never used of issues of fact or objectivity. Always use the base form of the verb, except when Nous and Vous are irregular. Only in sentences with two subjects. Always for impermanence. “Gardé la différence à “je” et “nous” donc le présent.” Etc. I wish I understood what it actually meant. Never having had grammar in school (ah, the days of “free” school and expressive learning), I was always many steps behind. And yet I had great fun. In the afternoons we played games and discussed current affairs and issues – free speech, freedom of religion, what constitutes art. I found myself pushing aside my terror and diving into the discussion with half-baked opinions and barely formed sentences. One afternoon, the professor proposed a game of “Speed Dating”. We were each given a photo and told to invent a character. This I knew how to do! Drama exercise 101 – create a backstory! With our backstory in place, we moved from person to person trying to find the perfect match. My French might have been the worst in the room, but I reveled in the acting exercise, mangling verbs but giving a stellar performance. By Wednesday afternoon, however, my brain was total frozen. Tous les mots ont été perdu. Our guided tour of the Citadel, in French, was too much for me and I wept with the frustration of not being able to ask a burning question. (“Why did the Ursuline nuns, put up the Scottish regiment who were fighting France for the possession of Québec?” Mon Dieu, they even knit the Scottish lads some socks. Answer – by playing nice they got to keep their convent after the war, and were favoured by the English. Those socks are probably the reason that the convent still exists today.) I had to keep asking for facts to be repeated, thinking that I hadn’t understood what was said. 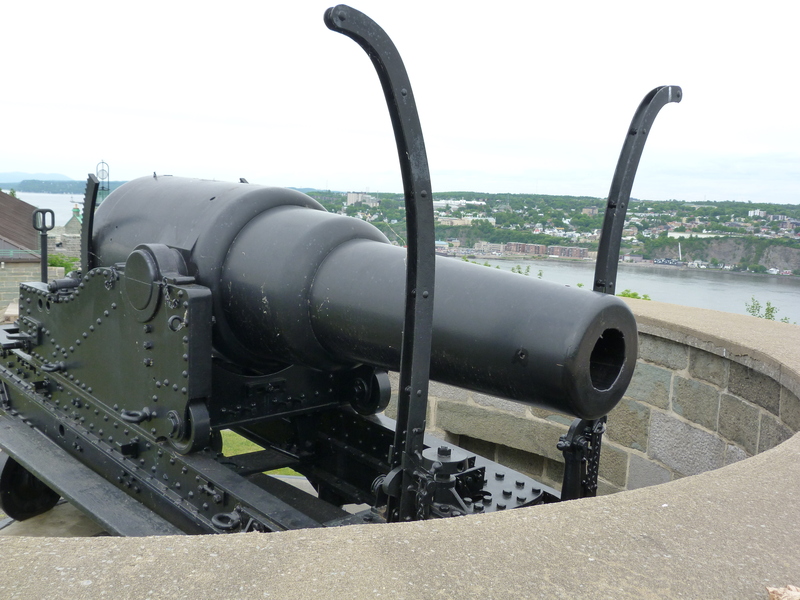 That canon took 12 years to assemble? Really? It shoots a canon ball 5 kilometres? C’est vrai? But my exhaustion was a turning point. I began to realize that I was hearing things correctly. My ears were getting stronger, much stronger than my ability to speak. And this, actually, was my great triumph. I decided that my goal for the week was to hear better. To understand what I was hearing. And although I may have laughed a bit late at the jokes, my brain was interpreting sound into meaning, by-passing translation. I looked down at my page of notes and discovered that I was writing them in French. C’est extraordinaire. I am still at the very bottom of the mountain of learning French. Going forward will require a daily commitment. But à ce moment, je suis très heureuse. I have dipped into Canada’s other solitude, and for a few brief moments could hear a harmony.